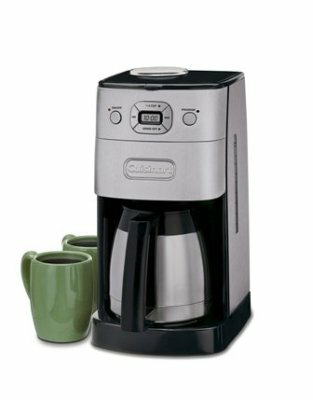 Are you thinking about Cuisinart DGB 650 BC Coffee Maker? Coffee lovers agree that to make the perfect brew, you’ll need fresh grind from perfectly baked beans, purified water and efficient and well designed coffee maker. Today’s drip brewers are technologically advanced appliances that have removed the strain from the traditional brewing process. Many are smaller but can do much more than the behemoths that existed years ago. Automated coffee brewing has added a new twist to getting your favorite brew ready with the least effort. This has opened up a whole new market where coffee lovers are demanding superior brewers that guarantee consistently perfect coffee each and every day. But which drip coffee machine qualifies to rank among the best units on the market today? The answer is quite simple. The top coffee making machine should be able to automate the whole coffee brewing process. All you need to do is provide the two main ingredients, water and coffee beans or grind and it will handle the rest. If you’re looking for such a coffee machine, why not consider the Cuisinart DGB 650 BC! The brand Cuisinart has perfectly done this job at par. This coffee maker is also listed in our Grind And Brew Coffee Makers collection. The Cuisinart DGB 650 BC has a coffee grinder that will produce a medium grind each time you want to brew. The medium grind ensures that you’ll get a consistently rich taste every time you brew. Unfortunately, this grinder doesn’t have variable grind settings. This however is to prevent the filter from clogging when extra fine grind is used or getting low quality flavor when coarse grind is used. If however you want extra strong coffee, you can use already prepared fine grind for brewing or use the 1 to 4 cup feature. And if you want mild coffee flavor, you can make use of the brew pause feature. To further ensure that each cup of coffee prepared by this coffee maker has a consistent taste, it has a dishwasher safe gold tone filter. This coupled with the integrated shower-head maximize flavor and aroma extraction from the coffee grind. The charcoal water filter also ensures that your coffee doesn’t acquire any peculiar tastes derived from non-purified water. The dual insulated thermal carafe with 10 cup capacity ensures that your coffee remains hot for a couple of hours after brewing. When it comes to brewing coffee, a lot of time is wasted preparing the grind and making the desired brew settings on your coffee maker. And then you have to wait. The Cuisinart DGB 650 BC eliminates time wastage by automating the whole process. With a 24 hour programmable function, you can set this machine to start brewing coffee while you’re still in bed, in the shower or on your way home from work. You can be sure that the machine will have hot delicious coffee ready every day. The auto shut off feature ensures that you don’t need to worry about scorched coffee or an overheated motor once your brew is ready. The 1 to 4 cup brewing feature also allows you to prepare controlled amounts of coffee. This feature comes in handy if you just need a few cups of coffee each morning. It also gives you better control over the flavor and temperature of your coffee. If you don’t want to wait until the grinder does its magic before brewing begins, you can shut it off and use already prepared grind for your coffee. The brew pause feature also comes in handy when you want a quick cup before the brewing process is complete. Modern coffee machines are including a good number of features. But what good are these features if they make the appliance difficult to operate or worse still, remain unused for the better part of the coffee maker’s life? The Cuisinart DGB 650BC includes just the features you’ll need. The integrated control panel has easy to use buttons which allow you to customize the machine with a few touches. Ease of use is further enhanced by the separation of the grinder and the filter chamber. 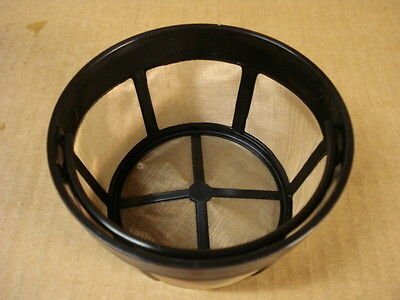 This enables better control over the amount of grind used for brewing. It also makes it easy to separate grind and unused coffee beans. The double walled thermal carafe has an easy pour spout that prevents spilling your brew when serving. 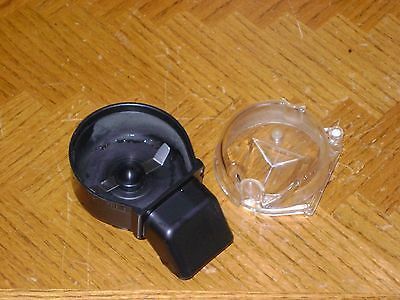 It also features a unique lid that doesn’t require adjustment or removal when pouring your brew. This helps to keep the coffee hot and prevent loss of flavor. Brewing coffee at home shouldn’t be a process that takes up close to half an hour each morning. In fact, it shouldn’t take more than five minutes of your time to brew coffee if you have a coffee machine. The Cuisinart DGB 650 BC is a coffee grinder and brewer you can trust to prepare up to 10 cups of perfectly brewed coffee each morning. All you need to do is add coffee beans and top up the water reservoir with water. Once you’ve programmed it to start brewing at a specific hour of the day, you can sit back and expect a hot brew at that specific hour. This machine saves on space that would otherwise be used up by a separate grinder and coffee machine. It’s also fairly priced and worth investing in if you want a fully automated coffee maker.